The St Moritz 200 from Hi Tec is a striking example of fashion meeting function, whether you're walking in winter or wearing them around the resort at the end of a day's skiing. 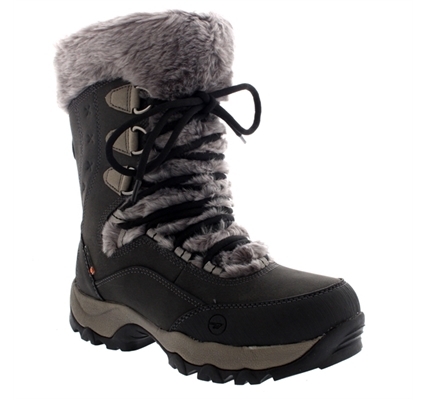 The water resistant suede leather upper benefits from Thermo-Dri waterproof and insulated construction, a fleece lining, 200g Thinsulate™ insulation and a faux fur lined collar, so your feet stay dry and warm. Walking comfort comes from the women's specific last, removable contoured EVA sockliner, lightweight CMEVA midsole and moulded abrasion resistant toe and heel. 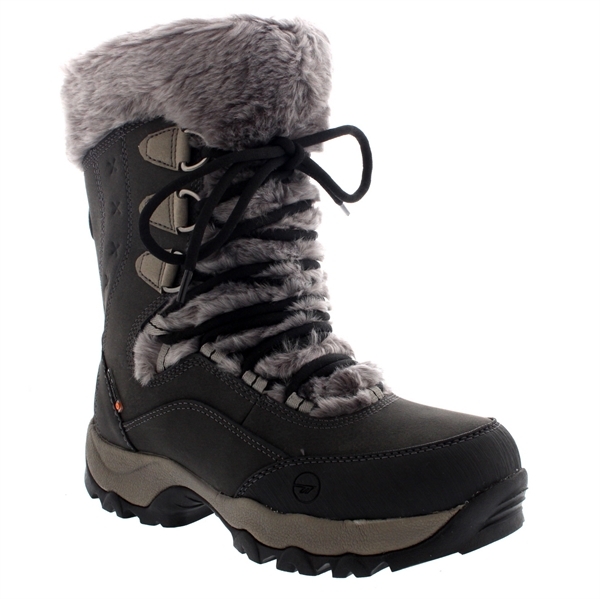 The durable carbon rubber outsole has a winter lug design to provide traction on snow, ice and mud.